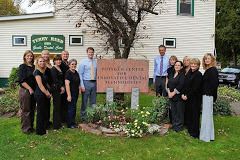 We are a family dental practice in Potsdam, NY. We offer state of the art, comprehensive dental care with a small town touch. Our goal is to help patients of all ages to achieve a beautiful, healthy smile.